Politburo Member, China’s most senior personnel officer and Head of Central Party School. 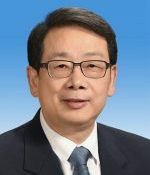 Born: 1953, Fuzhou in Fujian Province. Education: Most significantly Tsinghua University (Chemical Engineering) where he became friends with Xi Jinping. Later took a Masters at Tsinghua. Career: A combined academic and party career that included two years as visiting scholar at Stanford University; Party Secretary of Tsinghau University in 2002 and Vice Minister for Education in 2008. A brief stint in Liaoning Province then PS of the China Association for Science and Technology. In 2013 was appointed Deputy Head of Organization Department and a member of the Central Leading Group for Inspection Work. Relevance to Tibet: None directly. An ally of Xi Jinping; they shared a dormitory at Tsinghua in the 1970s. This is a “mini” profile, see information above. (Richard McGregor, writing in ‘The Party’). So best to try…..